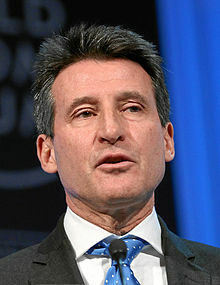 With the Olympic Flame starting its round-Britain-journey, not many people may know that Lord Coe, KBE, chairman of the London Organising Committee for the Olympic Games is the son of the late Percy Coe, one of the few surviving crew of the A D Huff shelled by the German Battle Cruiser ‘Gneisenau’ and sunk in the Atlantic off Newfoundland on the 22nd February 1941. That day the Gneisenau together with the Scharnhorst, had attacked and sunk five ships: the Lustrous, the Kantara, the Trelawney, the A.D.Huff, and the Harlesden. Rescued by a German ship and transported to Bordeaux. The Merchant Navy Pows were initially held in atrocious conditions at St Medard en Jalles. Percy Coe and the Canadian bosun from his ship jumped from the train taking them to Germany and made their way to Spain where they were imprisoned for 6 months by the pro-Hitler authorities. Eventually reaching Britain, probably via Gibraltar or Lisbon, they discovered they had been presumed dead as the Germans had a deliberate policy of concealing the names of ship survivors for many months. Percy Coe died in 2008 whilst Sebastian was at the Beijing Olympic Games. We would love to hear from you if you have any more information or if you have questions. Complete the form below to get in touch. I am a Canadian military historian writing a book about POW, Escapers and Evaders in Europe. I am trying to find the name of the Kommandants of Milag/Marlag Nord. I am especially interested in the last Kommandant’s name. 17th April: Captain Wilson R.N. was officially informed by Korvettenkäpitan Rogge, that he had taken over the responsibility for Milag and Marlag Nord from Fregattenkäpitan Schmidt, and that he intended to remain to the end and to surrender the camp to the British army on its arrival. He assured Wilson that he had no intention of marching any more prisoners to Lubeck and that anyone who succeded in getting away from the existing column would be allowed back into Milag without hindrance. Previously Rogge had only been in charge of the Milag camp.